Hunted, shot, and without her memory, eighteen-year-old Ann Baker wakes in shallow water on a deserted Pacific Northwest island. She is soon approached by two young men claiming to be her friends. Something isn't right, but when gunshots sound, Ann is left with little choice but to allow Devon and Archer to help her escape. Soon she finds herself in their North Bend mountain compound, where the higher evolved humans claim to be mind-readers. While Ann heals, she realizes they believe her to be one of the last and most powerful of all - The Lost One. She's welcomed by most with opened arms, but not everyone is happy about her arrival. A jealous adversary has plans for Ann, which spirals the entire Reader community into chaos. 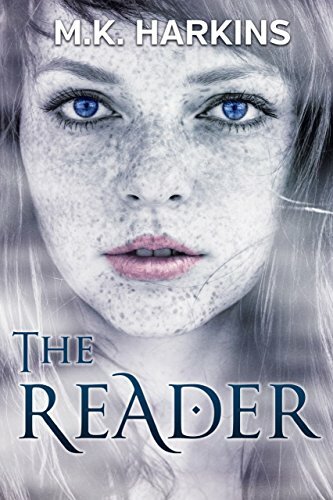 As lies, murder, and betrayal threaten to rip apart the once harmonious mountain dwellers, Ann is thrust into making a decision that could save or devastate not only The Readers, but all of mankind. But there's just one glitch: by doing so it may require her to make the ultimate sacrifice.